This was one of those jobs when I received the files that I squealed with delight. This illustration is awesome, to say the least and we were so excited to be printing it for Tiny Twiggette. Lynn was so fabulous to work with and has some beautiful design work herself. 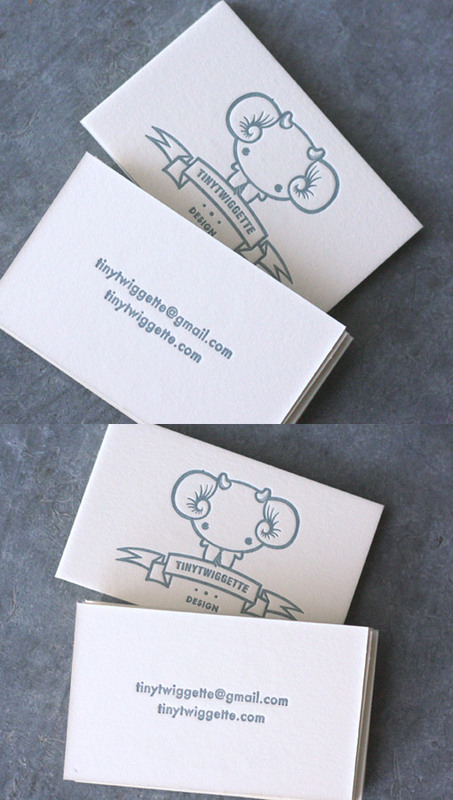 These were printed on lettra 220# paper, in ecru. Pantone matched and printed as a 1/1, this is a perfect example of how a minimalist design and single ink color can be just as impacting with out all the hooplah of a billion press colors or changes.